A Singapore-based company is relocating its headquarters to Sanford and bringing with it the opportunity for dozens of high-paying jobs building amphibious airplanes. Jeteezy Inc. has signed a lease with the Sanford Airport Authority for two hangers where the planes will be built. The company will hire at least 50 employees over the next two years with an average annual wage of $63,000, which is 155% of the average wage in Seminole County. In addition, the company has leased office space at 210 S. Sanford Ave.
Jeteezy president Anup Murthy said his company plans to invest $5.4 million in equipment, research and property. Enterprise Florida Inc., the state’s economic development agency, has qualified Jeteezy for Qualified Targeted Industry (QTI) funding of $200,000 in job incentives. The Sanford City Commission has already approved its share of funds, $20,000, and Seminole County commissioners are expected to ok $20,000 in an upcoming meeting. Enterprise Florida would provide the balance of funding. Sanford Economic Development Director Bob Turk said no incentive money would be paid to Jeteezy until the jobs are created. Murthy recently purchased Lake Aircraft, a company that began, interestingly enough, in Sanford, Maine. The company billed itself as the world’s only manufacturer of FAA-certified, single-engine amphibious aircraft. 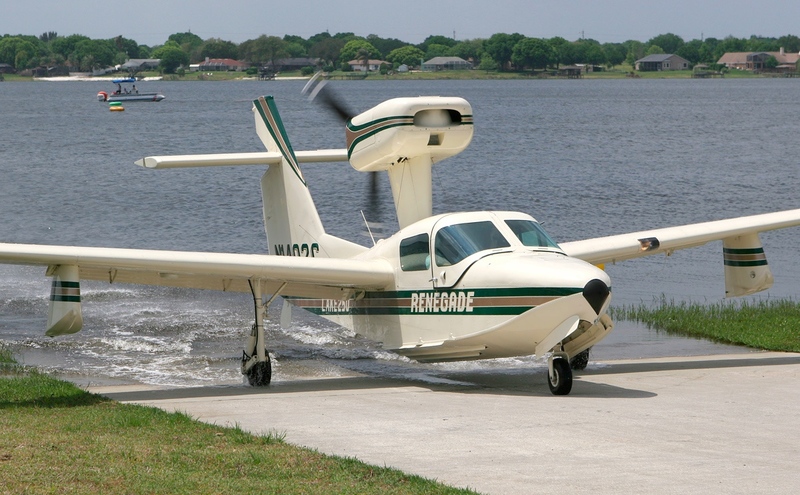 Lake Aircraft relocated to Kissimmee, and in recent years has only made parts for existing amphibious planes. Murthy intends to rebrand the company as Jeteezy and restart aircraft production. He said the company intends to use Lake Monroe for some of its testing. The planes will be built using a fuselage shaped like a boat hull for water landings. The aircraft will also have retractable landing gear for land-based take-offs and landings.